Indian Harbour Montessori – Especially For Children respects your right to privacy on the Internet. We voluntarily adhere to the American Standards Association Model Code for the Protection of Personal Information and we encourage our visitors to do so. We, however, take no responsibility for their failure to do so. We collect the domain name and E-mail address (where possible) of visitors to our website on a voluntary basis only, the E-mail addresses of those who post messages to our message board, the e-mail addresses of those who communicate with us via E-mail, the E-mail addresses of those who make posting to our chat areas, aggregate information on what web pages consumers access or visit, user – specific information on what web pages consumers access or visit, and information volunteered by the consumer, such as survey information and/or site registration. The information we collect is used to: (i) improve the content of our website and those of our customers; (ii) personalize the content and/or the layout of our website and those of our visitors for each individual visitor; (iii) notify consumers about updates to our website and those of our visitors; and (iv) contact consumers for marketing purposes. 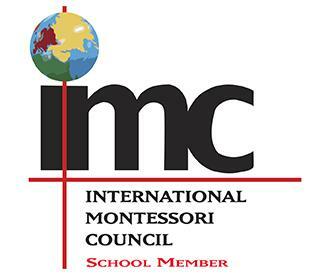 If you do not want to receive E-mail from us, please let us know by sending an E-mail to us at contact|at|ihmontessori.com and telling us that you do not want to receive E-mail from our school. If you supply us with your postal address online, you will only receive the information for which you provided us your address. Indian Harbour Montessori – Especially For Children will never willfully disclose individually identifiable information about you to any third party, other than our visitors, without first receiving your permission. Indian Harbour Montessori – Especially For Children does not rent, trade or sell your personal information to others. Information collected is not shared with other organizations for commercial purposes. Security Safeguards when you register with Indian Harbour Montessori – Especially For Children, we offer you access to a secure server. All user information we collect is protected against unauthorized access and protected by the latest Internet security protocols.